Head to Brett Whiteley Studio and Queen Victoria Buildingfor some retail therapy. Your itinerary includes some good beach time at Manly Beach and Bondi Beach. Explore Sydney's surroundings by going to Katoomba (Wentworth Falls, Lost Bear Gallery, & more), Norman Lindsay Gallery & Museum (in Faulconbridge) and Shelly Beach (in Manly). 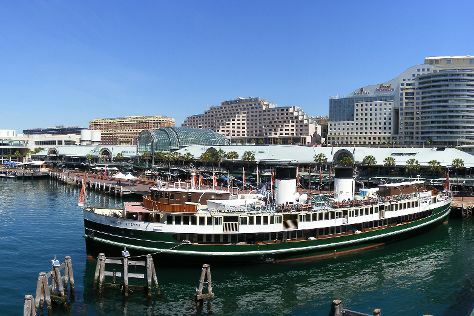 Next up on the itinerary: catch a live performance at Sydney Opera House, contemplate in the serene atmosphere at Nan Tien Temple, see the interesting displays at Australian National Maritime Museum, and wander the streets of Darling Harbour. For reviews, traveler tips, and more tourist information, use the Sydney online trip maker . Vancouver, Canada to Sydney is an approximately 18-hour flight. You can also do a combination of flight and bus. Traveling from Vancouver to Sydney, you'll lose 18 hours due to the time zone difference. In May, daytime highs in Sydney are 24°C, while nighttime lows are 14°C. Cap off your sightseeing on the 4th (Tue) early enough to travel to Melbourne. 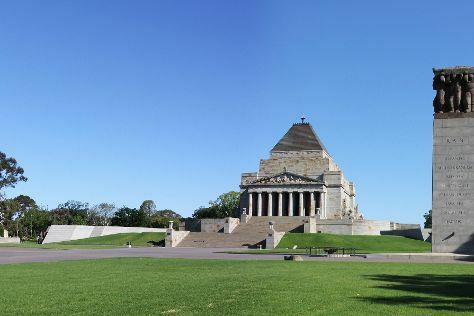 Visit Shrine of Remembrance and St Paul's Cathedral for their historical value. Explore hidden gems such as Art Gallery of Ballarat and Split Point Lighthouse. Venture out of the city with trips to Bells Beach (in Torquay), Lake Wendouree (in Ballarat) and Point Lonsdale Lighthouse (in Point Lonsdale). There's lots more to do: see the interesting displays at Melbourne Museum, take in nature's colorful creations at Royal Botanic Gardens, explore the world behind art at ArtVo, and take in panoramic vistas at Eureka Skydeck 88. You can fly from Sydney to Melbourne in 3.5 hours. Other options are to do a combination of flight and shuttle; or drive. In June, Melbourne is little chillier than Sydney - with highs of 16°C and lows of 6°C. You will have some time to spend on the 10th (Mon) before leaving for home.